St Constantine is thought to have been 6C King of Cornwall who gave up his crown to become a monk. He is also referred to as King of Dumnonia (south western Britain). 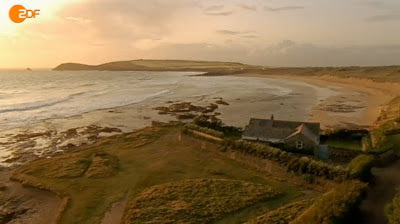 There are 2 place names in Cornwall thought to be associated with Constantine: Constantine Bay, featured in this album, and Constantine, near Falmouth. The Chapel of Saint Constantine at Constantine Bay is a ruin with a little well adjacent and is situated east of the beach near the golf course. 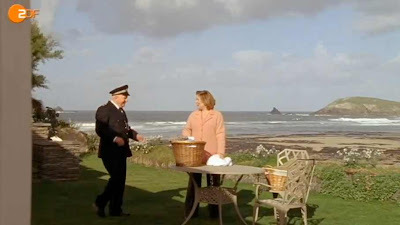 Constantine Bay plays host to several Rosamunde Pilcher adaptations: Der gestohlene Sommer, Die Frau auf der Klippe, Die versprochene Braut, Schutzengel. This is the temporary home of George and where Eve learns that George is her biological father in The Lost Summer (Der gestohlene Sommer). 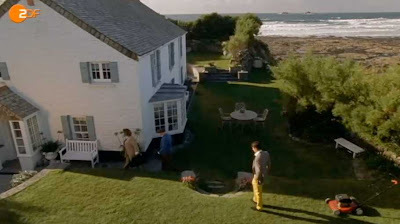 The home of Adele and Maxwell in the Woman on the Cliff (Dier Frau auf der Klippe). Rejani receives a surprise visit from her father in The Promised Bride (Die versprochene Braut). The home of Kate and her son Channing in Guardian Angel (Schutzengel).